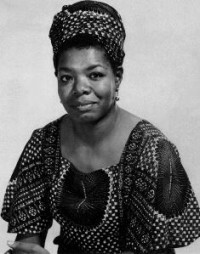 The charismatic author and poet Maya Angelou, born Marguerite Johnson in St Louis, Missouri, passed aged 86. Dr Angelou was a role model and an activist who recorded and celebrated African Americans in the United States and beyond. Dr Angelou’s association with South African freedom fighter, Vusumzi Make, took her to Cairo, where she worked as an associate editor of the Arab Observer, from 1961-1962. In her three year stay with her son Clyde (Guy) Johnson, in Ghana, Dr Angelou worked as the Assistant Administrator of the School of Music and Drama at the University of Ghana. She also worked for the Ghana Broadcasting Corporation and the Ghanaian Times newspaper and also with Ghana’s first president, Dr Kwame Nkrumah, in furtherance of his pan-Africanist vision of a united and free continent. Having met some of the most influential people of African descent in Ghana, including W.E.B. Du Bois, Julian Mayfield, and Malcolm X, Dr. Angelou once wrote, “While the rest of the world has been improving technology,” “Ghana has been improving the quality of man’s humanity to man.” (cf. Meri Nana-Ama Danquah). Dr Angelou’s acquaintance with Ghana is revealed in her fluency in the Ghanaian dialect Fanti, her love for kenkey, a local food, and the traditional Ghanaian kaba-and-slit outfit. She also developed family acquaintance with Prof. Efua Sunderland and Emeritus Prof. Kwame Nketia. As part of her political career She also worked with Martin Luther King, Jr. and Godfrey Cambridge. Dr Angelou played Kunta Kinte’s African grandmother in the ground-breaking TV series Roots. The Diaspora Affairs Bureau of the Ministry of Foreign Affairs and Regional Integration, in solidarity with the over 5000 African American Community in Ghana and the Diaspora Africa Forum (Accra) express our sympathy to the African Diaspora on the transition of Dr Maya Angelo to the world of our Ancestors.